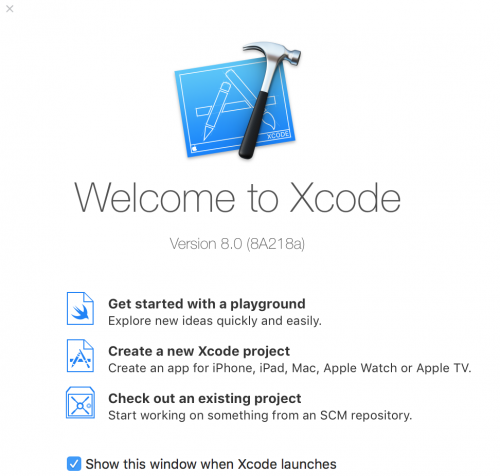 To start with, open up Xcode and create a new Xcode project. And lastly, fill in your project details. 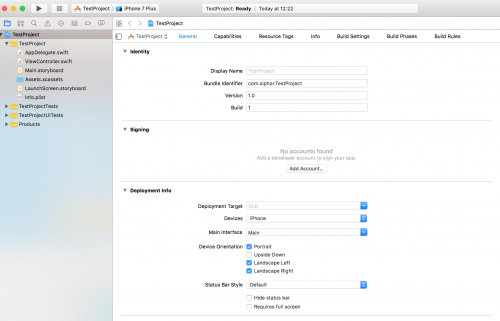 You can specify which device your project will be used for. Ensure that you choose ‘Swift’ as the language. Create a Git repository by ticking the checkbox on the next screen if you’d like to place your project under version control. Now you should have your blank project created with the following screen. 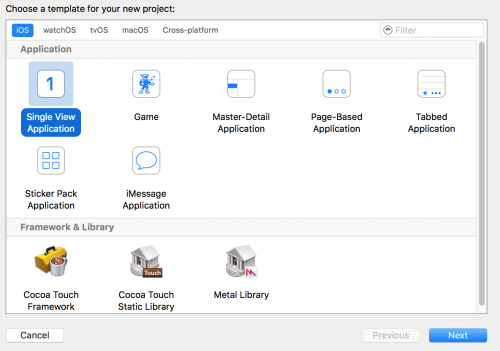 If you take a look at the project files located in the Project Navigator on the left hand side, you’ll notice that a few files and directories have already been created. 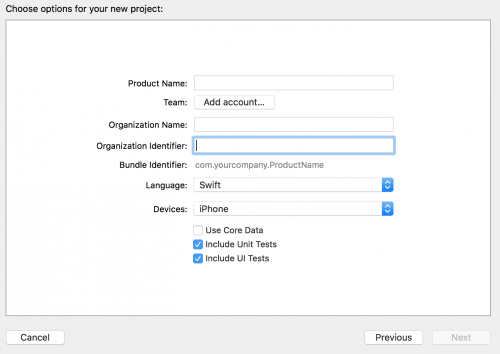 Open up the AppDelegate.swift file. This file is responsible for functions that execute when the application is launched, closed, run in the background and a few others. The Single View Application template has another source code file: ViewController.swift. This class simply inherits all the behaviour defined by UIViewController and where your view’s controller layer logic goes. We then come on to Main.storyBoard. 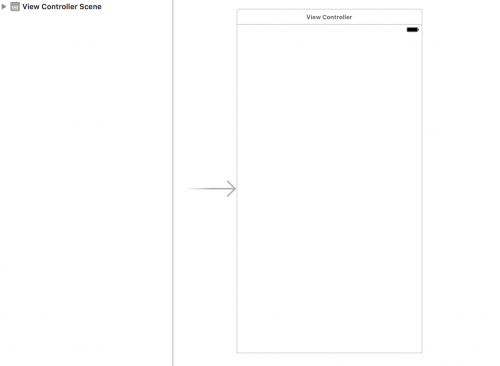 The storyboard is a visual representation of the viewController(s) that users see when they run the app. You can run the application by clicking the ‘Run’ option within the ‘Product’ dropdown, or you can click on the play button located just above the Project Navigator.